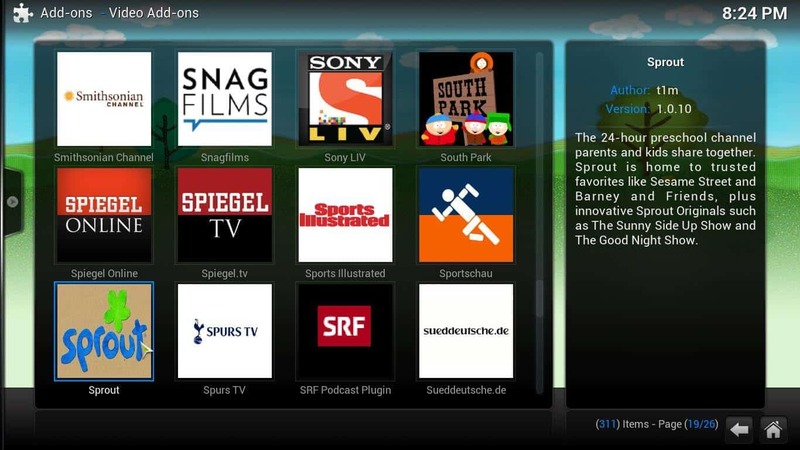 What makes this repository one of the best Kodi plugins source is the fact that all the addons are carefully selected by the Kodi developers. Many of these addons are really useful and we write guides on how to install them individually from time to time, such as “How to install Kodi YouTube” or the “guide to install Russia Today addon for Kodi“. Addons provided by the official Kodi repository are not limited to the ones that bring content to your HTPC, therefore, you can also find some of the 10 best Kodi skins for tablets and the 10 best gaming addons for Kodi within this Kodi repo. Particularly, some skins you can find in this repo are well suited for mid-range to low-end devices, with specs similar to those you can find on most Android TV boxes. 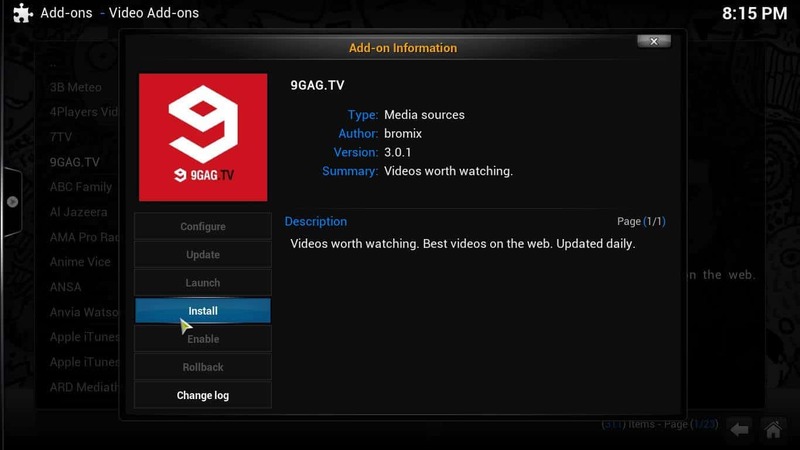 How do I install an addon from the official Kodi repository? It's very, very simple. First, go to the main menu on Kodi, and click on System -> Settings -> Add-ons -> Get Add-ons -> Kodi Add-on repository. 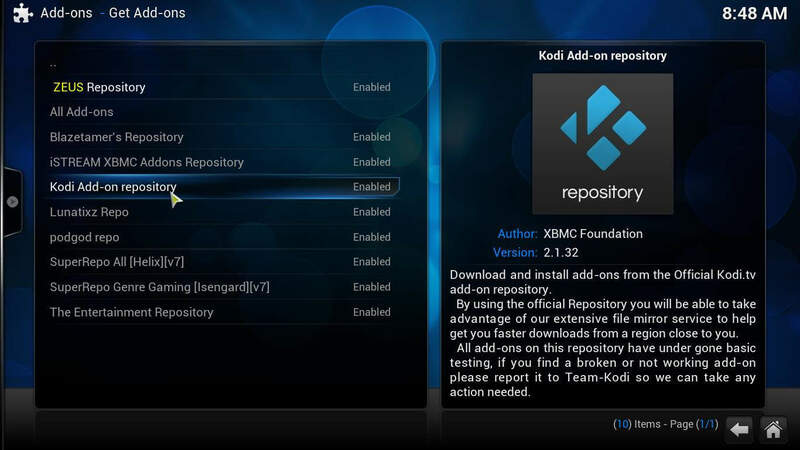 If you haven't installed any repositories before, the official Kodi repository will be the only option for you to install Kodi addons. 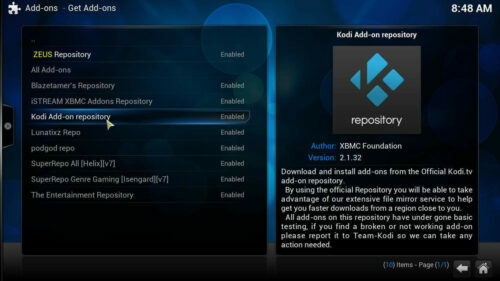 If you have other repositories installed, simply find the Kodi Add-on repository on the list. Click on it, and you will see several addon categories. For this tutorial we will choose a video addon, however, the process is fairly similar for other kinds of plugins, such as programs or skins. In this case, click on Video Add-ons. You might have to scroll down to find the option. Find the appropriate category for the addons you want to install. After you've clicked on that, you will see a list of plugins included in the official Kodi repository for the category you chose. From this screen, you can install Kodi addons, by clicking on the specific addon you wish to download, and then hitting the Install button. Click the Install button after selecting the addon you wish to add to your Kodi HTPC. Wait a little, and then you will see a notification similar to the one shown below, when the addon is done downloading and installing. You should see an indicator similar to this one on the bottom right, if the install was successful. And that's all there is! 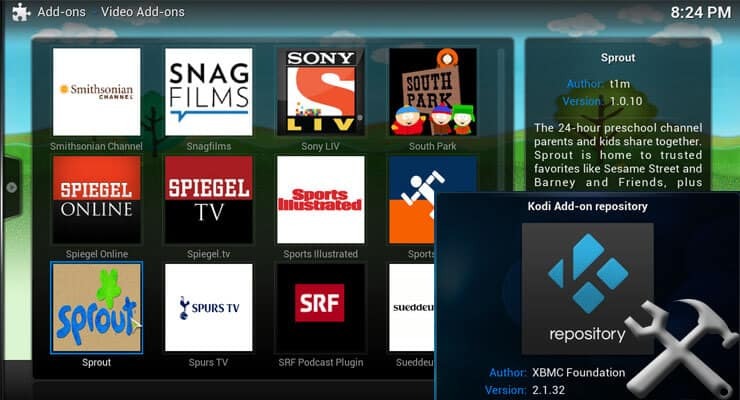 You have successfully installed an addon from the official Kodi repository. 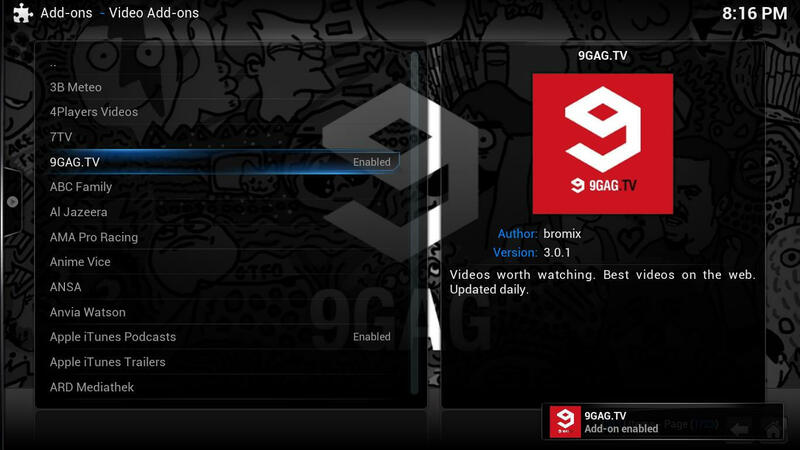 Now you will find it on the menu that corresponds to the category of the addon you selected, in our case, we installed a video addon, so we would head to Videos -> Add-ons from the main menu, and enjoy our content by clicking on the recently installed plugin. 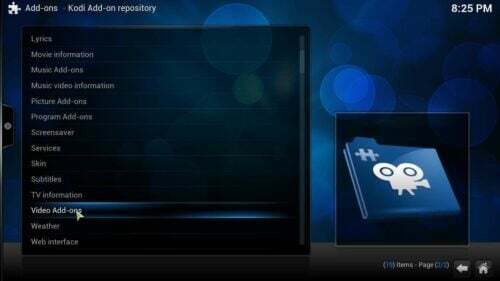 The official Kodi repository is the best Kodi repository for newcomers to the HTPC world, as well as veterans looking for very well tested and trustworthy addons, so be sure to check it out; after all, it comes bundled with Kodi and ready to provide you with its content, so it would be a waste to not use it. Stay tuned for more guides on how to install different addons for Kodi, from this and other repositories, so you can always find great content for your HTPC, and if you still need some more content, take a look at our 10 best movie addons for Kodi and 10 best Kodi addons for kids, so you won't miss out on these amazing addons!